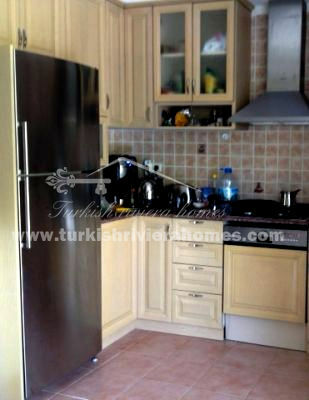 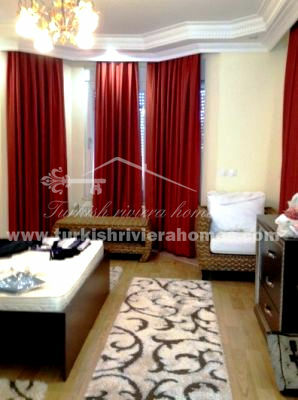 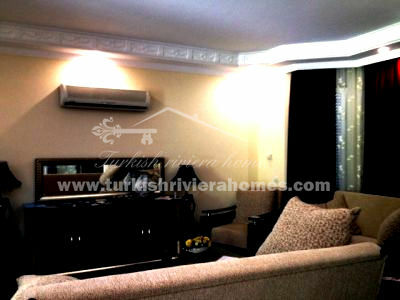 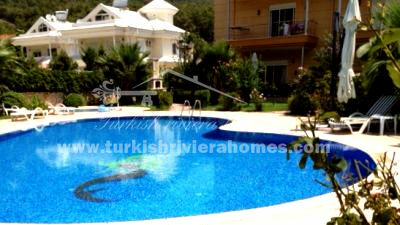 Fully furnished villa with stunning mountain view is located in Kiris, Kemer area. 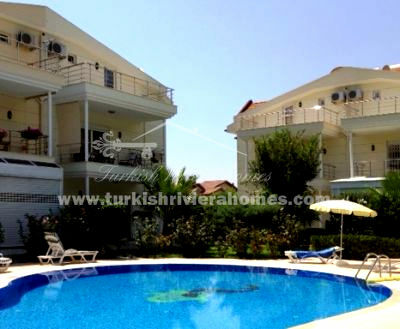 This Semi-detached villa is situated in residential complex with shared pool, parking, barbeque area and landscaped garden. 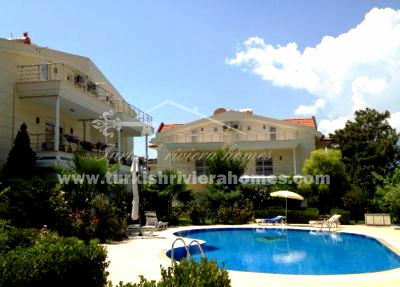 Kemer house consists of 3 floors. 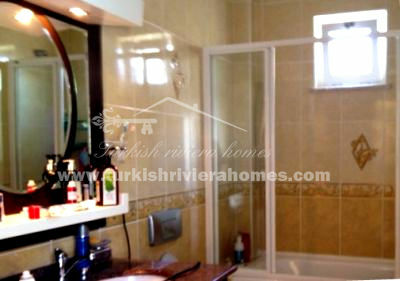 On the ground floor there is a living room with open plan kitchen, bathroom and one bedroom. 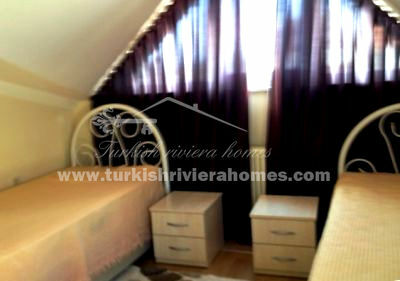 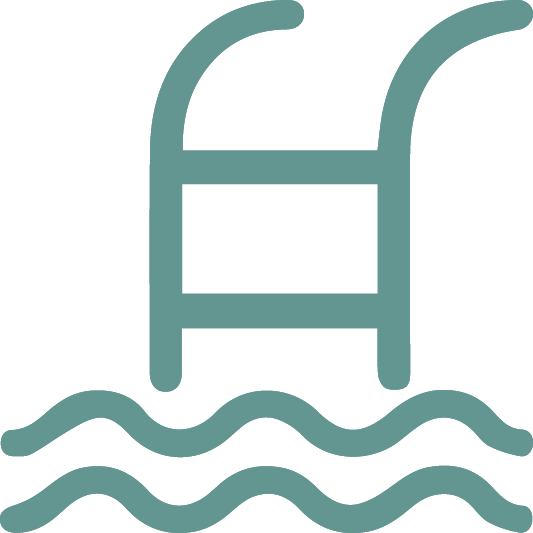 On the second floor – 2 bedrooms with shared bathroom, on the attic floor a master bedroom with en-suite. 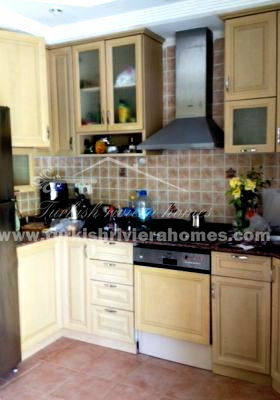 The total area of the villa is 250 m². 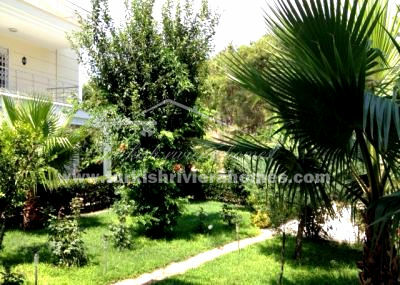 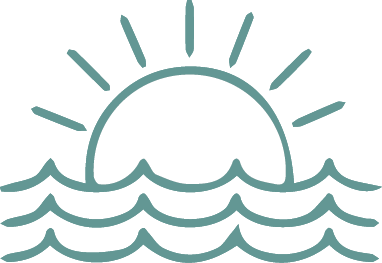 This property is within walking distance to the sea.